Tumexal: Wonder Drug or Snake Oil? Cancer is a common disease in our pets just as it is in humans, though not necessarily for the reasons often claimed by proponents of alternative medicine. While there are certainly environmental triggers for many cancers, smoking being a classic and important example, it is not an established fact that we are facing an epidemic of cancer because we live in an “unnatural” and “toxic” environment. For one thing, some toxic causes of cancer are actually less of a problem than in the semi-mythical “old days” before industrialization and modern science. Not too many chimney sweeps are getting scrotal cancer from soot these days, thanks to the identification and control of this risk through scientific research. And stomach cancer rates have fallen dramatically since the early 20thcentury, possibly due to less reliance on salting and smoking meats for preservation and the increased availability of fresh fruits and vegetables in urban areas, both consequences of technological advancement. Perhaps more importantly, cancer is clearly a disease most often associated with old age, and one reason we see so much of it in humans and in our pets is that we, and they, and not dying as young as we used to of other things, like infectious disease and malnutrition. Nevertheless, cancer is still a serious problem in our pets, and one which is being intensively studied in an effort to find effective prevention strategies and treatments. Again in contrast to the simplistic and inaccurate characterization of science-based cancer therapy, the reality is that there are effective therapies for many cancers, even cures for some, and these therapies consistently improve the length and quality of patients’ lives. Sure, we are a long way from preventing and curing cancer with the kind of success we’ve had preventing and curing infectious diseases, but the best hope for getting there is good, rigorous science. Unfortunately, for individuals with pets who have cancer and who either don’t have good results with existing science-based therapies, or who are afraid of them due to the propaganda from proponents of alternatives, there are all too many untested snake oils freely available. There are far too many for me to evaluate them all, but occasionally I am asked to look at a specific product, and I feel it is important to remind desperate pet owners that even in the face of a terminal disease for which there is no proven cure, gambling on some concoction from the internet is risky. While it is not impossible that some of these products may work, it is less likely than the folks selling them would have you believe, for reasons which I will discuss. And it is absolutely possible to make a bad situation worse with an untested treatment. Human patients with pancreatic cancer, which is highly aggressive and for which there are no truly effective conventional therapies, have unfortunately demonstrated this danger for us. Subjected to a bizarre diet, untested supplements, and coffee enemas under the Gonazalez cancer regime, these patients not only did not live as long as those on conventional therapy, they had significantly worse quality of life. Even in a situation where it seemed like they had ”nothing to lose,” a quack cancer therapy made these patients’ remaining days fewer and more uncomfortable than standard care. This is always a risk, for us and for our pets, with unproven treatments no matter how many testimonials and anecdotes companies give us to suggest their treatments are safe and effective. An example of just such an untested therapy is Tumexal™. The company has published a Powerpoint presentation claiming to explain the “science behind TumexalTM.” This presentation spends a lot of time describing one of many pathways to cancer formation, involving inactivation of the p53 tumor suppressor gene. The author then claims that TumexalTM stops cancer by inhibiting an enzyme called G6PD and that it “duplicates p53 function.” Without knowing what the substance is and with no published data showing if or how it does this, the truth of this claim cannot be evaluated. A recent published scientific paper discussing G6PD suppressors, however, does state ”To date, only a few G6PD inhibitors have been available. However, adverse side effects and high [concentration needed for a significant effect] hamper their use as therapeutics and basic research probes.” This argues against the claim that this company has found a perfectly safe and effective G6PD suppressor that the rest of the scientific community doesn’t know about. How is it that the scientists of CanineCare.US have come up with a treatment like Tumexal™, and not one of the big pharma drug houses?…Big pharma scientists are encumbered by a business model that insists in an absolute manner that every drug put into active development have billion dollar sales potential…Tumexal™ is a natural product for which a new composition of matter patent is not possible. But since CanineCare.US scientists are focused not on sales potential, but rather upon using cancer biology discoveries most effectively, we have been able to make progress far out of proportion to our numbers. Tumexal™ may never be a billion dollar drug, but it very well could help more dogs than all the billion dollar drugs of all the big pharma companies combined. In other words, money-grubbing pharmaceutical companies have ignored the potential of safe and natural cancer treatments because they fear they won’t be able to patent and make any money off of them, but CanineCare.US is far more altruistic and doesn’t care about profits but only about making life better for your dog. This is a common, and in this case completely incredible, explanation for the supposed story of a lone genius discovering a wonder drug. For one thing, there is plenty of profit potential in unpatentable “natural” products, which is why dietary supplements and herbal medicines are a multi-billion dollar industry that Big Pharma is actively interested in participating in. For another, the owner of this company, Jonathan Nyce, has already been a lavishly compensated CEO of a multi-million dollar pharmaceutical company, Epigenesis Pharmaceuticals, which forced him out when the supposedly revolutionary asthma drug he was developing failed to prove viable. ** So the idea that pure altruism has motivated CanineCar.US to produce a wonder drug that the rest of the biomedical industry could not have found due to a blind pursuit of profit is not believable. The logic here is as flawed as it is simplistic. Smallpox and polio vaccines are made from smallpox and polio viruses, so are they simply “infections” the way cancer drugs are “poisons,” doing more harm than good? Many antibiotics are derived from bacteria and fungi, so are they automatically harmful “molds” with no real benefits? Of course not. Such therapies have dramatically reduced suffering and death for millions of people. The source of the medicine does not tell us anything about the balance of risks and benefits of the medicine itself. Only good scientific research can do this. Such research tells us what the pros and cons of cancer medicines are, but there is no such evidence to tell us the risks and benefits for TumexalTM. Another red flag of quackery for TumexalTM are the claims of dramatic benefits with little to no risk. Tumexal™ is also remarkable for its lack of harmful side effects. Unlike standard chemo drugs that can significantly reduce the quality of life in a treated dog, Tumexal™ is virtually toxicity free because of its novel mechanism of action. And with Tumexal™ there is virtually no toxicity! In fact, Tumexal™ will almost always restore a cancer-stricken dog’s appetite, spirit and energy! Such claims are always unlikely to be true, but when presented in the absence of any evidence and with a refusal even to disclose the ingredient in the drug, there is simply no reason to take them seriously at all. There is no evidence these experiments were ever published, or done at all for that matter. They also raise ethical questions about the use of these animals for fatal experiments since there is no information about the conduct of the studies or the care of the subjects, and since the studies were apparently never published to make the data useful to the scientific community but instead are used merely to promote a commercial product. Dr. Nyce attempts to head off objections to these experiments by claiming “this work was done several decades ago using animals scheduled for destruction by animal control” and he “wouldn’t have the heart” to do this work today. Apart from the fact that this statement seems as implausible as the data themselves, it begs the question of why TumexalTM has only recently been developed, and only by Dr. Nyce, if extensive and costly research from decades ago produced such dramatic data that it is a potentially effective therapy for many cancers? Who did this research? Why was it not followed up? How was Dr. Nyce involved, if at all? Why was none of the data published? All of this is highly suspicious, but of course impossible to evaluate objectively since the company does not provide any of the usual information, in the form of published research or regulatory documents, by which the value of potential new cancer therapies are judged. What CanineCare.US does provide, of course, are testimonials, the sine qua non of quack therapies. Undoubtedly, people will comment on this post by saying I can’t prove TumexalTM doesn’t work, and lots of anecdotes show it does so what’s the problem? The problem, of course, is that such anecdotes and miracle stories prove nothing. They are available for every therapy ever invented, including many which have been definitively proven not to work, and they are deeply misleading. A responsible scientist and company generate and provide scientific data to show their products work, rather than simply posting heartwarming and meaningless anecdotes. A patent is not possible for Tumexal, because it is a natural product that nature, not us, synthesized… As a natural product for which a NCM patent is not possible, Tumexal must be protected by trade secret law. This is why we do not disclose what it is, except to say that it is natural. So once again, we should believe TumexalTM is a wonder drug without any evidence other than the claims of the company selling it and the testimonials they choose to put on their web site because they are goodhearted people focused on making pets healthier rather than making money and the product is “natural.” Anyone who asks for more than this is a “cynic” who, by implication, doesn’t care about the welfare of pets or is beholden to Big Pharma. A finer modern example of snake oil could not be found. And it is worth remembering, the product from which the term “snake oil” likely derives didn’t work, and didn’t actually contain any snake oil! CanineCar.US and Dr. Nyce have given us no reason to think any better of TumexalTM. And while the lack of definitive evidence against TumexalTM makes it impossible to assert it is ineffective, that doesn’t mean it can be assumed to be safe. Unproven remedies are as likely to hurt your pet as to help them, especially when substituted for real medicine. And even in the face of a disease as terrible as cancer, it is possible to make your pet’s life worse by rolling the dice on a snake oil like TumexalTM. If your pet has cancer, please see a veterinarian, ideally one specializing in cancer care. There really are beneficial treatments available even when there isn’t a cure. **There is a vivid tabloid story in Dr. Nyce’s life, complete with books by and about him, but since this has little bearing on whether or not the claims made about TumexalTM are legitimate, I did not include this material in my post. 41 Responses to Tumexal: Wonder Drug or Snake Oil? This scares me. And should scare every pet owner who reads this. “Rimadyl™ is metabolized by the same CYP3A4 cytochrome P450 that Tumexal™ is. Since Tumexal™ will be present in great excess over Rimadyl™ in any conceivable clinical setting, Rimadyl™ levels may be much higher than expected due to lack of metabolism. Therefore, it is advisable to choose Tramadol™ or gabapentin instead of Rimadyl™ during Tumexal™ treatment. So, if a non-suspecting pet owner has a dog who may require anesthesia for some procedure, the attending vet hasn’t a clue, nor would he be given any information as to why certain anesthetic agents are contraindicated, nor, more importantly, what to expect? And what if the owner forgets to tell the attending vet about this important little tidbit? Shouldn’t this be reported to the FDA? Charging outrageous amounts for a product claimed to treat cancer, but refuses to reveal the “natural”-but-who-really-knows-ingredients? (illegal, false and misleading advertising). ETA: Just read the story link – I knew I’d heard Jonathan Nyce’s name before, sure enough, a convicted murderer. That he even had an opportunity to perform trials on beagles makes me very ill – that he’s now peddling some secret god-knows-what to treat canine cancer makes me mad as hell. My wife and I put our Bernese Mountain Dog, Ellie, on Tumexal on March 10th and took her off on March 21st. After a few days on Tumexal, Ellie started throwing up, usually between 3:30am and 5:30am, almost every night. She was not digesting the medicines. After being given the medicine (blue capsule, white capsule, Mitoquin) with food around 8:00 pm, 7 to 9 hours later, she would regurgitate a dark amber liquid, probably the Mitoquin, and also the white foam rubber appearing contents of one of the Tumexal capsules. Her failure to digest the capsules and liquid erased any reasons for keeping her on the medication. It may have been an unrealistic expectation, but there was also no reduction of the edema on her left leg. Once we took her off the Tumexal, the nausea and vomiting stopped immediately, and she was more likely to sleep through the night. The cancerous edema on her leg continued to enlarge. The Tumexal and Mitoquin was a very expensive mistake. Thank you, Thank you !!! For writing such a clear, well documented and intelligent and thorough response and work. I am a holistic veterinarian who also had GRAVE concerns about this product. The lack of integrity and transparency and outright scientific validity for even a “novel” cancer adjunct option, should send people running away. I will give Professor Nyce, this: he must have spent his prison time researching the best way to scam and manipulate the internet to create a remarkable smoke and mirrors effect that unfortunately preys on innocent people that love their animals. It is a sad reality of the lack of regulation for such things and internet gathering of information is buyer beware!!! Its horrifying to read that those you trust to take care of your pets are the very people who will cause them harm especially if you as the owner are not aware of the risks and potential harm that these treatments can cause. Therefore putting more emphasis on the knowledge veterinarians must have to be able to correctly treat their patients while improving their quality of life. WOW!!! I mentioned tumexal to my dogs onco and she cringed and directed me to this webpage. I expected some sort of resisistance in the same way an MD used to react to chiropracters, so I tried to keep an open mind. I do not understand why the FDA allows people to sell products like this simply because they are natural non-toxic drugs. I spoke with Dr Nyce and asked him for the name of some vets that were using this product. He told me to have my vet call him and he would disclose that information to him. I pressed him and he gave me the name af a vet close to me that is using his product. I will be contacting him tommorow. The FDA is prohibited by law from requiring any proof of safety or effectiveness of dietary supplements because the supplement industry owns several influential senators, especially Orrin Hatch and Tom Harkin. “Natural non-toxic drugs” is a myth, and plenty of people have been hurt or killed by assuming such products are safe without appropriate testing. If you choose to roll the dice on this product for your pet, you are free to do so, but your oncologist cringed because they understand you are just as likely to hurt your pet as help him or her by doing so, and it’s frustrating for vets to see companies taking advantage of people’s desperation to sell untested products for their pets. My dog has been on Tumexal for 9 months and has fought a very aggressive form of thyroid cancer that had spread to her lungs. I talked to two dog owners that had similar cancer that had been on Tumexal before we decided to go this route. The dogs that took Tumexal were in total remission. One dog was given 3 months to live and now has no sign of cancer after two years. The other has been on the drug for a similar length of time as my dog and is doing well. My dog shows no signs of problems on Tumexal. Our vet oncologist received full disclosure of the contents of Tumexal in writing from Dr. Nyce and approved it for use prior to starting this therapy. If you are a vet, you can request the description of Tumexal after signing a non-disclosure agreement. I invite all vetrerinarians to contact Dr. Nyce, request the information, and analyze the content of this substance. Also, I know that these cancers are in remission, then why is that happening if it is “snake oil”? There are many reasons why therapies may seem to work when they don’t. Here is a pretty comprehensive discussion. With regard to cancer, the two most common reasons are misdiagnosis, where something is believed to be an aggressive cancer when it really is not, and spontaneous regression (examples 1, 2. There are many, many examples of cancers believed to be aggressive and incurable going away without treatment, likely because the body has its own cancer-fighting systems, and sometimes they are enough. Megan, did you evaluate the ingredients and rationale for this miracle of miracle drugs? You’re paying for it, so you should know what it is you’re paying for, and demand evidence of safety and efficacy from those marketing/manufacturing the miracle claims. What do you think your dog would prefer? 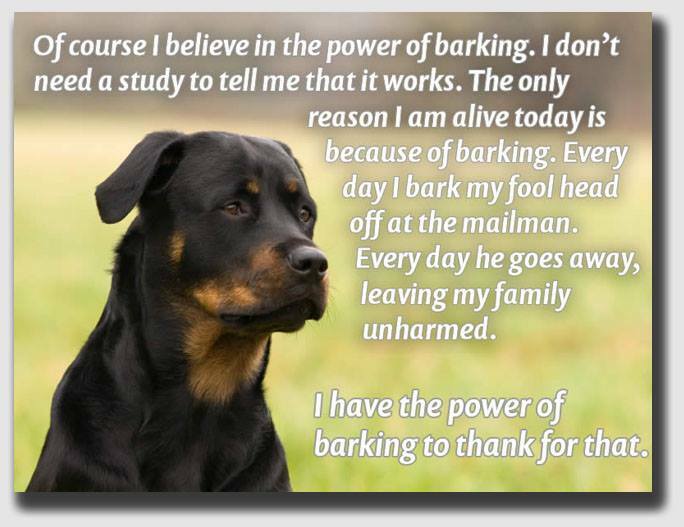 It’s not always about what you believe to be true, it’s the question of how truly effective and safe the product truly is for your dog- the one ingesting the product and not being able to tell you if it’s helping or harming. I think Megan Davis is a paid mouthpiece of Dr. Nyce. Common sense would indicate full disclosure of a drug, medicine, supplement, food, etc. My Lab is suffering Lymphoma and I’m looking for a miracle cure as well, but, I’m not stupid enough to allow my common sense to be over-ruled by some slick powerpoint presentation. I believe in scientific data and if someone doesn’t even want to let you know what’s in it………….come on, how stupid do you think we really are. My Lab has responded very, very well to Elspar and I found so much information on Elspar and it’s use that I had to stop reading after 3 days. Snake oil is good for cleaning your gun, not saving your dog. This guy sounds like a con artist but natural medicines work better that Pharmas. I have been treating my animals and myself with herbs and diet for a host of ailments for years. I’m 61 and I haven’t been to a doctor since my 20’s. There are also lots of folks who live into their 100s while smoking, drinking, and generally living unhealthy lifestyles. That doesn’t prove these things are good for them, just as your habits and health prove nothing about the relationship between the two. Anecdotes just don’t work that well. My dog is off the chemo and back on Tumexal. She turned 14 on October 3rd. I am not a mouthpiece for anyone and I believe in freedom of speech especially when powerful interest groups attempt to dominate our choices and our access to information. Call Dr Nyce yourself and talk to him directly about it and ask for phone numbers of those who are using it for their dogs with a similar type of illness. Yes, non-profit blogs like this represent “powerful internet groups attempting to dominate your choice” while people selling a product like Dr. Nyce represent pure, honest information. Ridiculous! Do you have any research info on LW-2? Dixie Bell, black lab has a soft tissue sarcoma and is undergoing radiation. We are looking for alternative treatment. I am not familiar with this. Do you have more information on it? It has been 6 mo. that I have been without my “best buddy”,Ike an 85 lb. best friend! This is the first time I have been able to write about this. Yes, I was grasping for anything when a friend told me about Dr. Nyce. After$ 750.00 worth of “snake oil “, the only thing that got thinner was my wallet! I lost my Boxer two weeks later. If you could give me a quick opinion on this products it will be fantastic because I am confuse about what to do. Do you consider them as bad as this product or do you think there is some real science behind? Escozine- Doesn’t look like there’s any reliable evidence to suggest this is safe or effective, and the marketing has all the hallmarks of quackery. Yet another random collection of vitamins and herbs with no legitimate scientific justification. Individual ingredients may or may not induce apoptosis, or simply cell death, in vitro but there is no clinical trial evidence that this concoction does anything beneficial to real, living patients. It is depressing that the Quack Miranda Warning is all someone needs to allow them to legally promote such snake oil as if it were legitimate, science-based medicine. Our 9-year-old Golden Retriever was diagnosed with lymphoma in Feb of 2013. We looked far and wide for non-chemo, non-radiation remedies. We talked with Dr Nyce at length and tried a diligent regimen of Tumexal and other “Dr Nyce” approved supplements. We had to put our Golden down in April, just two months later. Tumexal did not curtail the growth of the tumors in the least. Maybe it is a better treatment for other types of canine cancer? Truth be told, I am a scientist and was very, very skeptical of Dr. Nyce and his company. I researched everything I could online, with colleagues and with Dr. Nyce. Yes, we were desperate for a non-evasive cure for our boy and did fall into the trap of trusting someone who appeared honest and genuine. 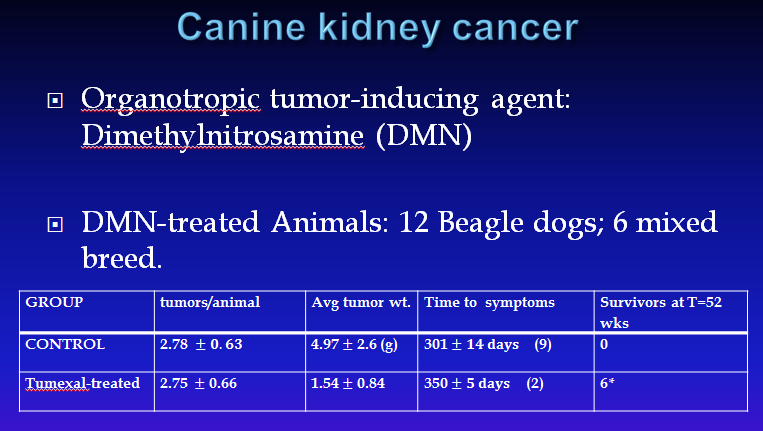 Unless Dr. Nyce is willing to publish results and statistics about how many dogs Tumexal has helped and for how long and which cancers it is more effective on you should not spend your hard earned money on this “treatment”. After all, until he does this and provides relevant data, Tumexal “is” simply snake oil being sold by a convicted murderer. So whats really in this stuff? I mean if it inhibits CYP3A4 its gotta have something in it! Is it just grapefruits? I’m quite curious about what makes up this quack treatment! Thank you for such a well written and informative article! I’m glad that it showed up in the short list of sites when I Googled Tumexal…which is kinda shady in and of itself in this day and age. I also find it a little disturbing that there is only one person on here that is swearing by it while also sounding like they’re in some sort of cult. Thanks again for all of the info! After researching Dr. Nyce, a convicted murderer, I find it terribly disturbing that in their own ads they refer to him as “Dr. Nice” and “Professor Nice” in an attempt, I’m guessing, to steer people away from finding out who Dr. Nyce really is. Sickening. Does the FDA know that Nyce is now operating the Advanced Canine Genetic Testing company using the Tumexal as Naturasone and Rason? I wasn’t aware of this, so thanks for posting it. I am looking into it, but I highly doubt that the “clinical trials” the company is claiming to run (and charging people for participating in) are legitimate. I will report back once I get a little more information. I would also encourage you to report this to the FDA Center for Veterinary Medicine in case they do not know. Any new information on that last post ? It’s the first time I had seen any ‘trial’ charge for participation. I used this product for my Australian Shepherd with Osteosarcoma. He had a pathologic fracture at the site of the tumor on his leg. The vet splinted it, gave us pain meds and told us to think about euthanasia as our dog probably only had a few months to live. I bought this product on the internet out of pure desperation. I treated the dog with the pills and liquid mitoquin for the 8 weeks the splint was on his leg. When the vet took off the splint and x-rayed his leg the fracture she said would never heal had in fact healed. Our dog lived for another two years seemingly cancer free. The cancer did come back again and the same leg deteriorated very quickly to where there was no bone left just below the knee down to his paw. A hanging piece of meat basically. He was suffering greatly so we did finally have to euthanize him. This product worked for us. I swear it. We had another two years with our dog and two good years because of Tumexal. I could not disagree with your post more! Actually it quit inferiates me. I have used Tumexal for one of my dogs and he had a great quality of life. My dog was diagnosed with hemangiosarcoma of the spleen that had spread to the heart and lungs, he was very sick. The vetinarian hospital that he was at told me he would be dead in less then a week. I took my dog home and started him on Tumexal the next day. With in one week he gained weight and started to act more youthful. In 3 months the cancer was GONE from his heart and lungs. The only thing that remained was the original site, at the spleen. And I have scans and ultrasounds to prove it. He had a better quality of life then the dog I treated with traditional medicine of radiation and chemo. So just because you don’t believe in natural products or think they are “snake oil”, why don’t you check with the satisfied pet parents that have used Tumexal successfully. Sorry, but such stories prove nothing. Your dog’s case is likely a misdiagnosis that, fortunately, wasn’t cancer after all. Tumexal doesn’t cure cancer, and without a biopsy those scans don’t show that your dog had hemangiosarcoma. Fully 30% of splenic masses are benign. Such miracle stories exist for every medical treatment ever tried, so either everything miracle cure ever invented works, in which case we should be able to cure everyone, or anecdotes like these aren’t reliable. In any case, I’m glad your dog is doing well, and I can’t see any reason you should be angry just because I don’t agree with you. Do you get mad at everyone who doesn’t believe exactly what you do? That must be a difficult way to live. My dog Buddy was diagnosed with lymphoma and given 2 weeks to live. I was desperate and didn’t want chemo (I had chemo and wouldn’t put my dog through it). I found Tumexal and Dr Nyce online and thought why not.. nothing to loose. I talked to him on the phone , he made a lot of sense to me, so I ordered it. It was amazing! Within 3 days, all the huge tumors were gone…yes…gone. Buddy’s energy, appetite were great and he acted like a youngster. Each month the protocol changes slightly gearing towards a transition to a long term remission. Unfortunately Buddy could not handle that and after 6 months of a happy active pain free life, we finally decided to let him go. But everything Tumexal advertised was spot on and I think Dr Nyce is really into something useful in cancer treatment. I know the research into the p-53 treatment is going on in human research as well. I read a lot of negative comments about Tumexal but I actually did it and would do it again. Perhaps if we had started treatment sooner the remission would have happened. I am grateful for the 6 months of quality time we had with Buddy. Of course, like all anecdotes, this doesn’t really tell us anything about whether or not this product is really useful. I have treated hundreds of dog with lymphoma–some with chemotherapy (which, by the way is very different from what we do to humans and generally makes them feel better rather than worse), and others with palliative care. I’ve also seen some who felt great and whose disease never progressed or progressed very slowly with no treatment at all. Lymphoma is a highly variable disease, so the only way to know if a treatment is really helpful is good research studies, not anecdotes. I’m glad things went well for your dog, but it’s far more likely that you got lucky rather than that Dr. Nyces snake oil actually works. I used Tumexal on my dog with Lymphoma. I talked with Dr Nyce many times and he was wonderful. The product worked just like stated and was like a miracle. My dog was given less than one month to live, not eating, etc and after 4 days all tumors were gone and he acted like a pup. Amazing. For 6 months ha had a happy quality life. He did not respond to the transitional treatment for a full remission and we decided to let him go but I don’t regret trying it at all. Perhaps if we had gotten to it sooner…??? Unfortunately, such stories don’t tell us anything about whether the treatment used work or not. The range of possible outcomes is huge and affected by many factors. DAs an example, did you know there is actually a type of lymphoma that is indistinguishable from others but progresses very slowly or not at all? A dog with this type of lymphoma could be treated with a completely ineffective therapy and live for years. Everyone would think the treatment had worked even though it did nothing at all.